CALLING ALL VIKINGS FOR DRAGON FIRE-BREATHING FUN! This is Berk… where a great storm has struck the Viking village and sheep are now scattered throughout the land! Save the day by using your wits and new Dragon friends to solve puzzles throughout the dangerously funny, sheep-unfriendly world of Berk! Tap, Drag and Drop your Dragon’s powerful abilities to rescue the flock. Use catapults, drawbridges and much more to your advantage as you explore the breath-taking Dragon world. * Play as Toothless and Hiccup! * Explore more than 40 challenging levels from the boundless Dragon world! * Rescue sheep by using a wide variety of items, from catapults and drawbridges to haystacks, boulders, and much more! 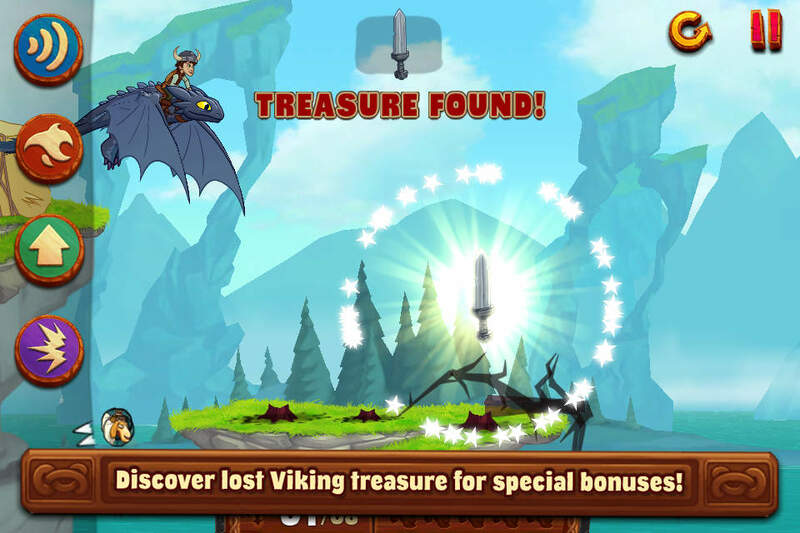 * Collect scattered Viking treasure to unlock secret hero levels! * Watch out for more Dragons with unique fire-breathing and flying action! If you are experiencing any problems loading TagDragonDrop please power cycle your device. This can be done by pressing and holding the lock button until the shutdown confirmation slider appears on screen, then sliding that. Once your device has powered down you may restart it by pressing the same button. We are working hard on an update to render this unnecessary, but in the meantime this should allow you to play. other beautiful lands to explore! * Addresses crash issue present on first generation iPad and 4G iPod Touch.